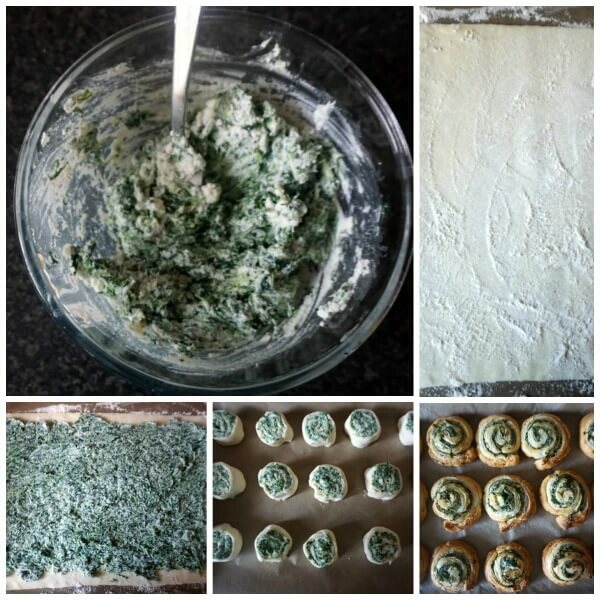 3-ingredient spinach pinwheels with ricotta cheese, a delicious afterschool snack that is ready in about 30 minutes. Super simple to make, and delicious, these pinwheels are a favourite with my family. Toddler-approved bites. A quick snack always comes in handy when you have some little tummies to fill in. 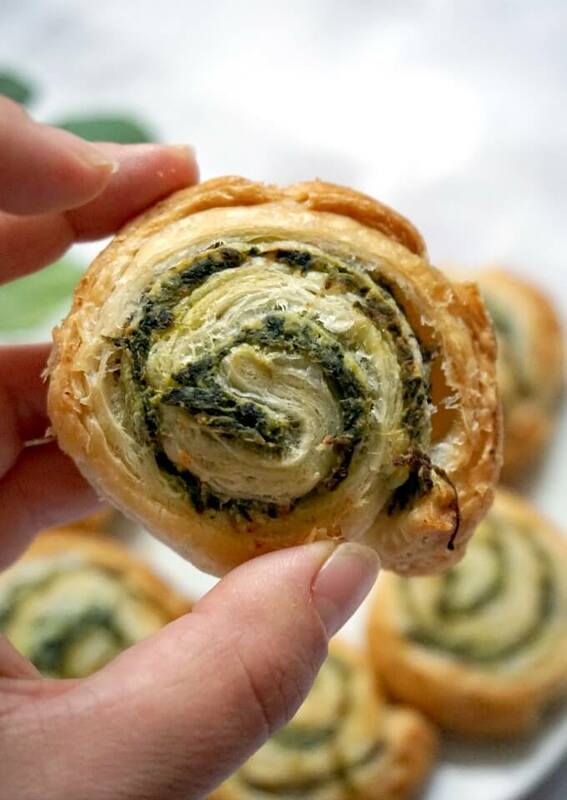 Spinach is not usually a favourite with kids, nor with some adults, as a matter of fact, but you try these pinwheels, and you will get a completely different story. Why is spinach so much hated? Well, on its own, it can have a pretty bland taste. Then, I don’t know, it could also be the colour. I think kids in general are not really attracted to green when it comes to food. Don’t ask me why, I am yet to understand why my older daughter won’t touch green veggies. Or most veggies, to be more precise. So, how can you get them to eat spinach? Well, you could try to sneak it into some dishes (whey will never know!!!). 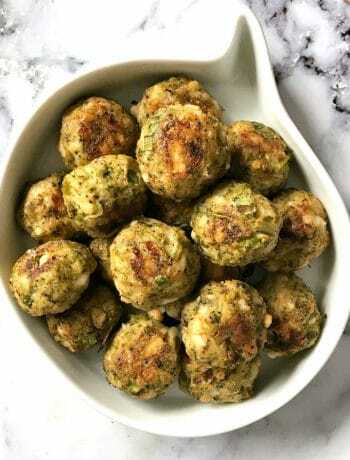 Or you could mix them with cheese (any kind), and roll some yummy puff pastry into pinwheels, and ta-daahh: delicious bites that kids will actually love. Mine, at least, loved them! I have made Puff Pastry Pinwheels with Ham and Cheese before, those went down a treat too. In fact, there is so much you can add to these pinwheels, either savoury or sweet. I would strongly advise you buy the puff pastry, it saves you time and headaches, and it’s as good. Not all shops sell the all-butter kind of puff pastry, probably bigger ones might have it, but otherwise it’s pretty easy to find the standard puff pastry. Great for any occasion, after school snack, picnic (so looking forward to warmer days!!! 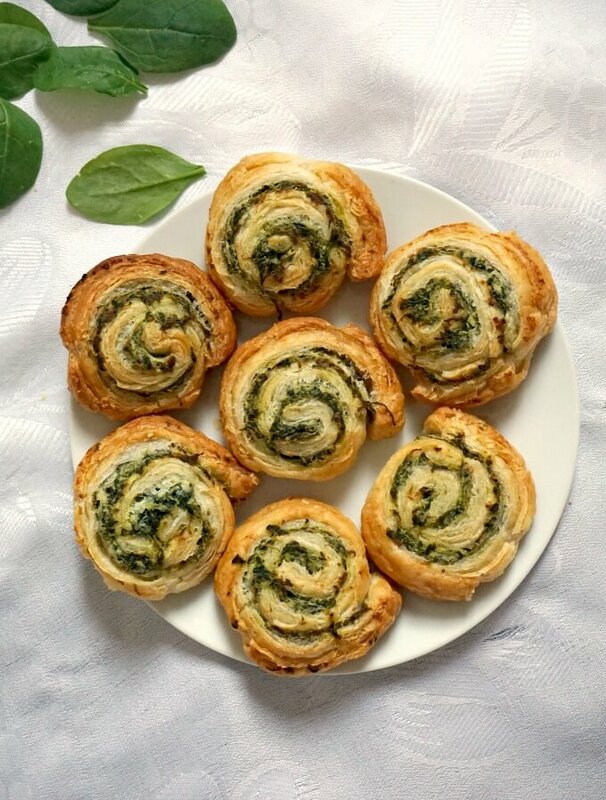 ), or just some nice bites when you are hungry, these spinach pinwheels are all you need. Did I mention that you only need 3 INGREDIENTS to make this snack? The mess is minimal, only one bowl to clean afterwards. Isn’t that amazing? Roll the puff pastry on the working surface (if you use ready-rolled pastry, even better), spread the ricotta and thawed spinach over, then roll into a big sausage, then cut up into about 1/2 inch thickness. Can you freeze the puff pastry pinwheels? Yes, but just bear in mind a few things. If you want to freeze these pinwheels, I would get them rolled, cut, and frozen before actually baking them. In this way, when you want them ready, just pop them in the oven from frozen. My guess is that they should be ready in about 35-40 minutes at 180 degrees Celsius (360 Fahrenheit), but do keep an eye on them, as it might take less or longer, depending on the oven. 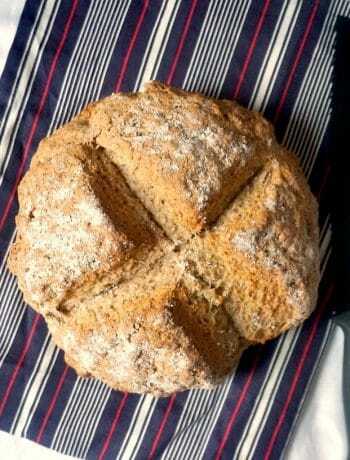 If you choose to bake them straight away, the baking time is usually 30 minutes at the same temperature. Don’t increase the temperature, it’s best to let them bake at a lower one, in order to ensure a nice golden colour. And here you have, a delicious snack for all your family: babies, toddlers, older kids, grown-ups, there is a bit for everyone. Yummy yum! 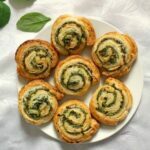 If you’ve liked the SPINACH PINWHEELS WITH ROCOTTA or any other recipe on the blog then don’t forget to rate the recipe and let me know how you got on in the comments below, I love hearing from you! You can also FOLLOW ME on FACEBOOK, and PINTEREST to see more delicious food and what I’m getting up to. 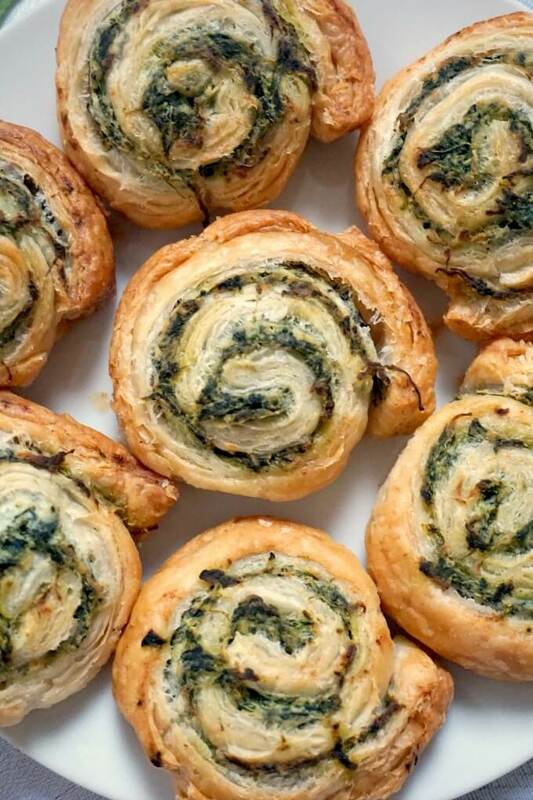 Spinach Pinwheels with Ricotta, a delicious 3-ingredient snack that goes down a treat with the whole family. Squeeze the water out of the thawed spianch completely, then mix it with the ricotta. Spread the mixture over the ready-rolled puff pastry, then start rolling it from bottom to top. Cut 15 pinwheels out of the roll,t hen place them on a non-stick parchment paper, making sure the pinwheels are at least 1 inch apart from each other.